The game Portal 2 has been out for a few days already and I’ve decided to try it out in stereoscopic 3D mode with 3D Vision to see how good it will look with the added sense of volume. 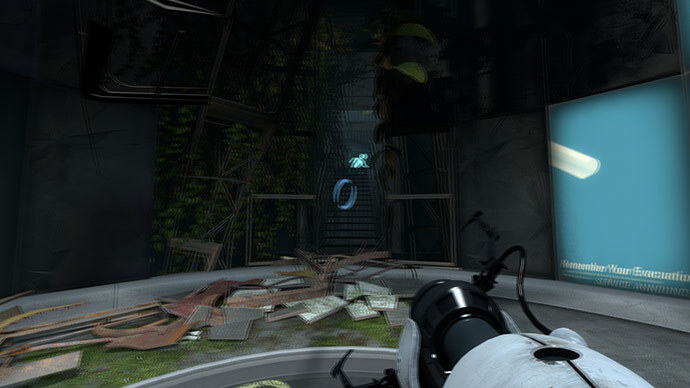 Portal 2 uses Valve’s Source engine, so expectations were high considering that the engine does perform quite well in stereo 3D mode. I’ve used the latest 3D Vision drivers version 270.61 WHQL that do come with an official profile for the game and in it Portal 2 is rated as providing Good experience in stereo 3D mode, but it is actually better than that, although not completely issue free yet. Generally the game looks great in stereo 3D with the default settings and the 3D Vision profile, even the crosshair is rendered in 3D, the only thing that may be a bit of bother is the fact that the traditional game colors are very contrasting and with higher depth levels you may see more crosstalk/ghosting (just as was the case with the first Portal game). Another interesting thing that I’ve noticed was the fact that with SLI enabled when panning the portal gun movement is stuttering a bit in stereo 3D mode, creating a weird feeling, disabling SLI fixes the issue. There might be some other small issue during the game, but in general there are no serious issue to prevent you from enjoying the game in stereoscopic 3D mode with 3D Vision. – Minor artifacts on water throughout the game. – At the beginning of Chapter 8 (The Itch), the main NPC uses Video screens to watch and talk with you. In one eye the image is incorrect; half of the NPC is solid black like a bad shadow or texture. – Using NVIDIA SLI with all in-game quality settings set to max, there is some image corruption. For example, objects will only render in one eye, polygons may appear stretched and shadows may be bad. You can work around this by configuring the antialiasing to any setting below 16x and setting anisotropic below 16x. I found the general 3D effect to be very good, but reflections on the “shattered glass panes” made the game unplayable in 3D for me. I suppose I could just disable reflections, but I’m not sure. Really enjoying the game so far, though. Played the whole thing through in 3d at max depth . . . I am already used to looking away from source engine water ASP from playing LFD :) The broken glass was a little wacky looking, but not game-breaking for me. I didn’t notice the stuttering you mention with GTX 480 in sli though. Will have to take a closer look for that. Ive changed over to ATI so now use tridef. As said in the review the valve games are all great in 3d. I cant play portal 2 without 3d now as its so good. I had to enable vsync as a lot of tearing without it. Tridef doesnt have the 3d crosshair but I turn off the crosshair and use there own. As with nvidia the biggest problem is the water reflections but luckily there isnt too much water in the game. The special liquids dont have any problems in the game. I actually had to stop playing in 3D. Things near the edge of the screen are coming out to be a lot closer to me than things near the center. That does not work at all well for me and made me feel queezy after an hour or so. How do you turn off 3d ?